Garden in Transit may be the most ambitious community collaboration and public art project in New York City history. 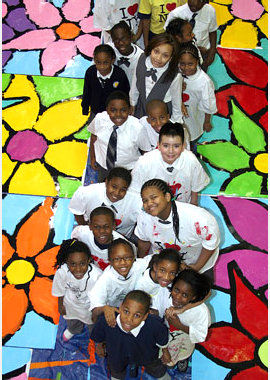 As part of this groundbreaking motivational art, education, and creative therapy project, thousands of kids in schools, hospitals, and community institutions are painting vibrant flowers -- symbolizing joy, life, beauty, and inspiration -- on adhesive weatherproof panels that will be applied to the hoods, trunks and/or roofs of thousands of New York City taxis. 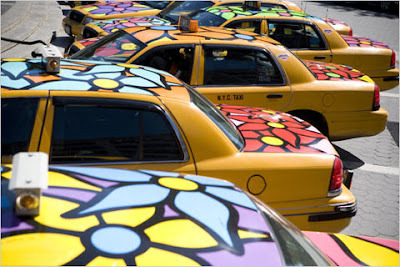 Beginning in September 2007 and until year's end, New York City will be visually transformed, as the ubiquitous yellow icon becomes a mobile artistic canvas or -- "Garden in Transit." 23,000+ people have participated in Garden in Transit. 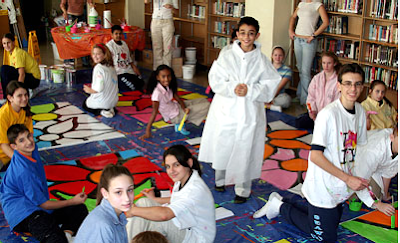 90% of participants are from NYC public schools, hospitals and youth programs. 200+ NYC area schools and hospitals are involved. 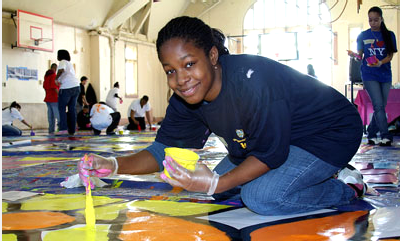 Youth in New Jersey, Pennsylvania, California, Georgia, and Ohio have also participated. Using our 1" brushes as a base, the GIT participants have painted the equivalent of a 1" straight line from NYC to Vail, Colorado, a distance of more than 1,700 miles . Hundreds of schools, hospitals and after-school programs throughout the City and beyond are participating in Garden in Transit. And thousands of adults are volunteering to lend a hand for what Mayor Bloomberg describes as a "mammoth, once-in-a-lifetime effort." When complete, the project will be a tangible lesson in the power of teamwork and collaboration. Through their participation in Garden in Transit, thousands of kids of all ages participate in educational sessions in which they learn about, discuss, and express themselves about important current affairs, community issues, individual and social responsibilities, goals and achievements, and -- the power of teamwork. In school sessions, participating kids integrate their writing, oral and visual presentation skills to express themselves about those individual and societal issues most important to them. As a group, the students evaluate the importance of 14 contemporary issues inclusive of: the environment, education, senior care, national security, ethnic relations, healthcare, women's equality, medical research, foreign aid, poverty, and animal rights. 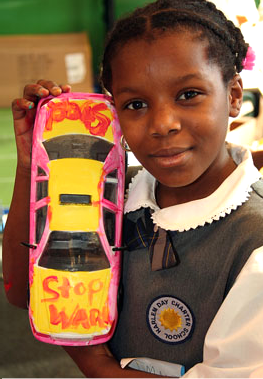 The students then design small-scale taxis representing those issues they would choose to be a vehicle for. The larger art collaboration -- painting the taxi panels -- is a group effort intended, in part, to demonstrate what people cooperating together are able to accomplish. 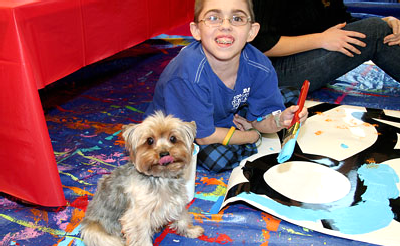 For children in hospitals, the project serves as creative therapy. Children of all ages and medical and physical conditions, have the opportunity to participate with family members, visitors, medical staffs, and hospital and project volunteers. Specialized Portraits of Hope brushes and painting methods have been incorporated including telescope paint brushes for children and adults with IVs or in wheelchairs, shoe brushes for children with injured upper limbs or who cannot manipulate a brush in their hands, and flavored mouth brushes for those who paint with their mouths. Bedside visits are made to make sure that any child who wishes to participate is able to do so. 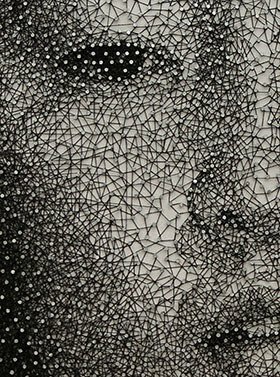 Ed Massey and Bernie Massey founded Portraits of Hope in 1995, continuing their utilization of art and poignant visual imagery for large-scale projects of social consequence. 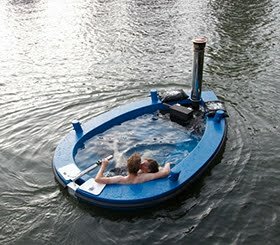 The idea for Garden in Transit goes back to 2000 when Ed and Bernie began the drive to make Garden in Transit a reality. Funky Find Of The Week: Marcel Wander's "Swing With Plants"
Want to feel like you're in a Fragonard or a Watteau painting? (If you don't know who fragonard or watteau are, google them). Then get yourself this romantic swing with faux ivy wrapped around the chains. The seat is cleverly designed to double as a planter, allowing the vines to grow directly up the ropes. Suspend outdoors to turn your garden into an enchanting, pastoral getaway ... or install indoors and add a bit of nature to your interior! And guys? 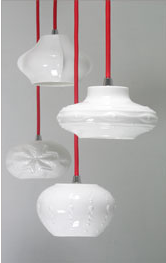 this would be a very romantic gift for the woman who likes the unusual. 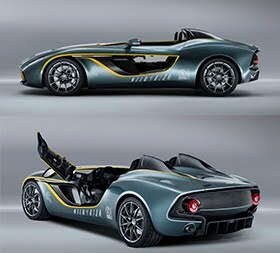 A manifestation of something that has unlocked or newly serviced an existing (and hardly ever changing) consumer need,* desire, want, or value. At the core of this statement is the assumption that human beings, and thus consumers, don’t change that much. 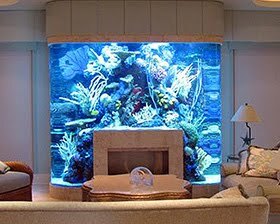 Their deep needs remain the same, yet can be unlocked or newly serviced. The ‘unlockers’ can be anything from changes in societal norms and values, to a breakthrough in technology, to a rise in prosperity. Example? One of the core human needs is to be in control, or at least to have the illusion of being in control. No wonder then, that the online world is so addictive. After all, it firmly puts the individual in the driver’s seat. Just give it a try: apply the above definition to your daily spottings and observations of how consumers behave, and how that behaviour is forever changing, and you will find that many seemingly unconnected business success stories will start to make sense. Successful innovations often satisfy existing, dormant needs in new and attractive ways. * P.S. Need to brush up on your knowledge of human needs? Re-reading Maslow's Hierarchy of Needs never hurts. Predicting next year’s colours. 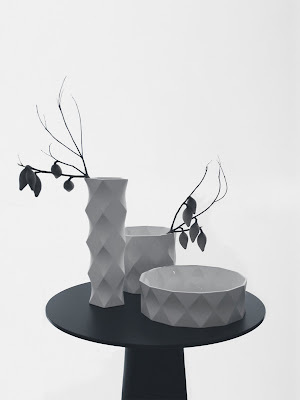 Trend watching is about more than spotting the next colour, fabric or hot designer. Sure, black may be back, and miniskirts may re-conquer the catwalks in 2009, but the consumer arena is infinitely more complicated than that. In other words, fashion in all its variety, excitement, and pioneering business models is just another part of the world of consumer trends. In no way does it define consumer trends. Gazing into a crystal ball. Trend watching isn't about ‘hard-core’ futurism, either. Better leave gazing into a crystal ball, predicting what's going to happen 15 to 20 years from now, to futurists and scenario planning departments. Trend watching is about observing and understanding what’s already happening, the major and the minor, the mainstream and the fringe. In our case in the consumer and business arena. Declaring the pizza cone an emerging consumer trend. We still get asked a million times about how to distinguish between trends and fads. A pizza cone is a fun product, but it won’t dramatically change the consumer arena. At most, it’s yet another manifestation that consumers want convenience no matter what. The latter is the trend. The product isn’t. Applying all trends to all people. Don’t fall for this one. One massive mistake both trend spotters and brands make all the time, is to assume or pretend that a certain consumer trend will affect or be embraced by ALL consumers. No. 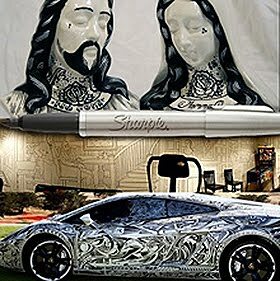 Remember, in life and in trends: beauty is in the eye of the beholder. The above HSBC ad illustrates it well. 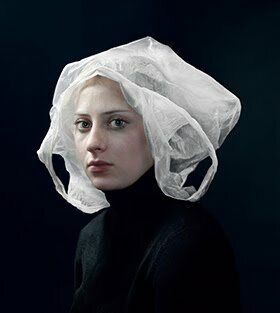 Whatever catches your fancy while spotting and tracking trends, please remember that not everything applies to everyone, and that virtually every trend has its anti-trend. Furthermore, the new doesn’t always kill the old. E-commerce may be booming, but real world retail is far from dead. Has the latter changed? Sure. But take one look at excited shoppers and TRYSUMERS spending hours in Apple’s flagship store in New York and it becomes clear that both online and offline retail have many years of innovation and opportunity ahead of them. In trends, always try to figure out what the ‘AND’ is, not just the ‘OR’, and your trend (and opportunity) spotting skills will improve immensely. Those who watch trends have to possess some rare kind of intuition. Not true. This isn't brain surgery, nor is it rocket science. Observing the world around you, with an open mind, is something many professionals have unlearned, but not something they aren’t born with. If you want to spot trends, you can. One of the exhibitors in 100% Futures, a section from the 100% Design show going on now in London, is Dominic Bromley of Scabetti Designs. 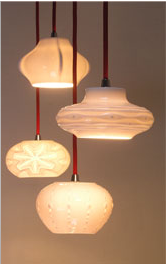 His lamps in the show are fabulous and will be released for purchase any day now. You can say you saw them here first! 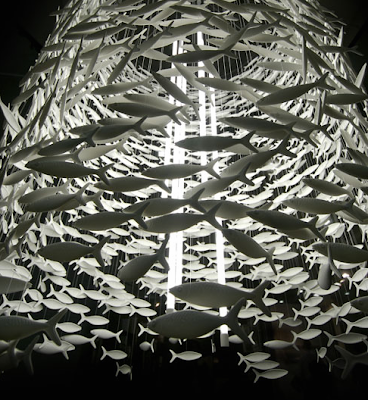 The light/sculpture is comprised of three layers of translucent bone china fish that are suspended from a ceiling fixture, thereby creating a snapshot of a dense shoal of fish swarming around a light source. 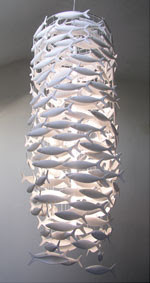 This cylindrical shoal has an outer diameter of 2m. 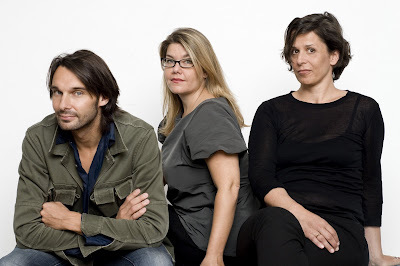 The designer behind Scabetti is the English born Dominic Bromley and his wife, Frances. Although trained in product design, it was the world of interiors (and the varied objects that inhabit that world) that most interested him. 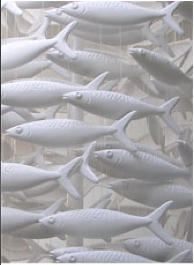 Having been raised in North Staffordshire, a part of England with a rich heritage in ceramics, it was only natural that his desire to create strong sculptural forms should become manifested in clay. 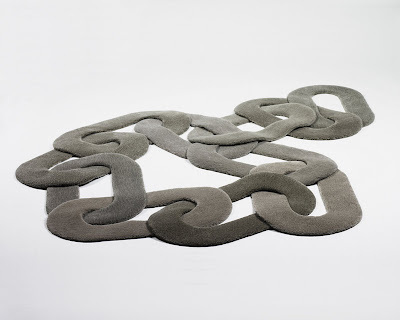 In the world of Scabetti, function has to follow form. 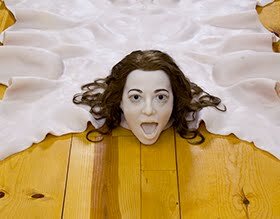 Dominic Bromley has and is still influenced by the work of mid-century artists such as Jean Arp, Barbara Hepworth and Henry Moore. 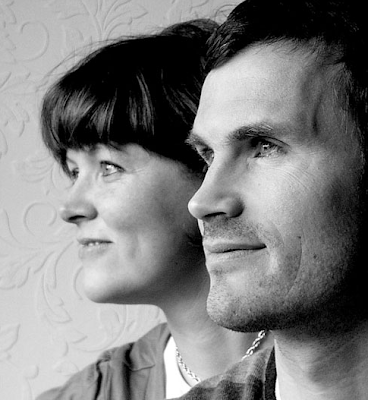 Furniture design is always a real inspiration, particularly the chairs of Scandinavian designers such as Eerio Aarnio (plastic fantastic) and Arne Jacobsen (beautiful wooden furniture and classic egg chair) and mid-century designers such as Charles and Ray Eames, right through to the stunning polished aluminium loungers of Marc Newson. visit the Scabetti site here. 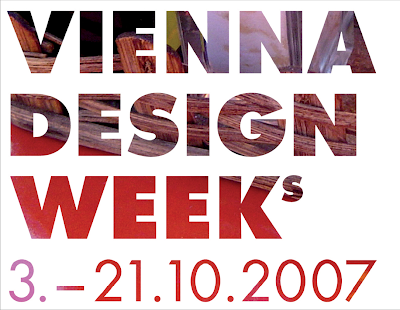 Beginning next week will be the first Vienna Design Week. 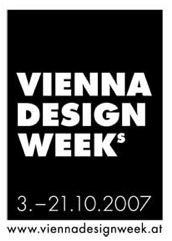 The VIENNA DESIGN WEEKs from 3 to 21 October 2007 will concentrate all the dynamic variety of contemporary Austrian design under a single roof for the first time. It will represent a self-confident Austrian-Viennese entry to the international calendar of festivals and fairs. 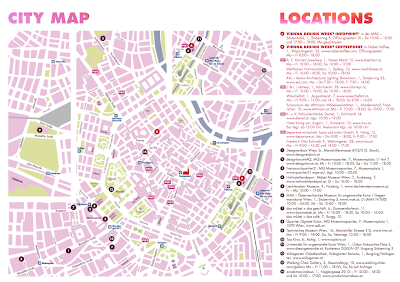 For a period of two-and-a-half weeks Vienna will present itself as a pulsating creative location. 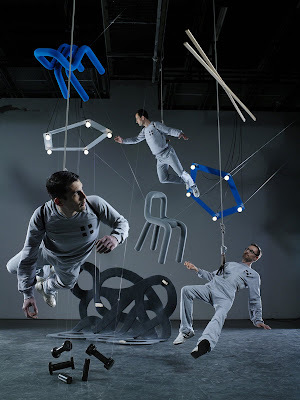 Under the label VIENNA DESIGN WEEKs a variety of important institutions and protagonists as well as partners from the world of business will come together. 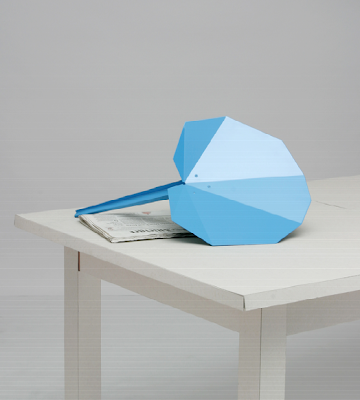 Creative designers will link with the producers of design objects. 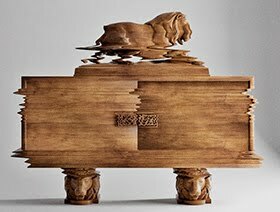 The VIENNA DESIGN WEEKs, which will be held annually, hone the perception of design, illustrate different approaches and, above all, stimulate a delight in design. From small touches like adding stickers to plain wall tile and hanging cool hooks in your bathroom to big additions like the Tris, sauna, steam room and shower in one, here are ten home items that will 'hip' up your house almost as quickly as the click of the mouse. 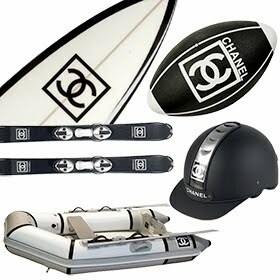 To learn more about the hip items above, click on each image for information and a link to purchase. Lincoln Gets His face Redone. Again. The New $5 Bill. A new $5 bill, with enhanced security features, will enter circulation in early 2008. A new $100 bill will follow. The new $5 bills will be safer, smarter and more secure: safer because they’re harder to fake and easier to check; smarter to stay ahead of savvy counterfeiters; and more secure to protect the integrity of U.S. currency. Because security features are difficult for counterfeiters to reproduce well, they often do not try, hoping that cash handlers and the public will not check their money. 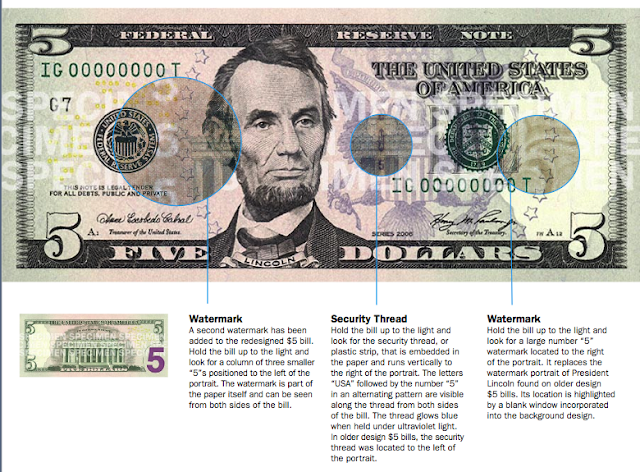 The redesigned $5 bill retains two of the most important security features that were first introduced in the 1990s and are easy to check. Watermark: There are now two watermarks on the redesigned $5 bill. A large number “5” watermark is located to the right of the portrait, replacing the previous watermark portrait of President Lincoln found on older design $5 bills. 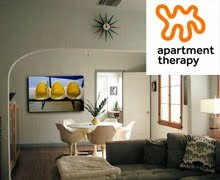 Its location is highlighted by a blank window incorporated into the background design. A second watermark — a column of three smaller “5”s — has been added to the new $5 bill design and is positioned to the left of the portrait. Hold your bill up to the light and look for the two new watermarks. 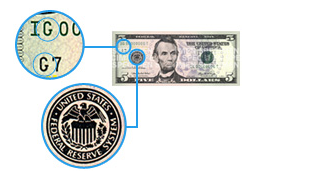 Security thread: The embedded security thread, which is located to the left of the portrait on older-design $5 bills, has moved to the right of the portrait on the redesigned $5 bill. The letters “USA” followed by the number “5” in an alternating pattern are visible along the thread from both sides of the bill. The embedded security thread glows blue when held under ultraviolet light. 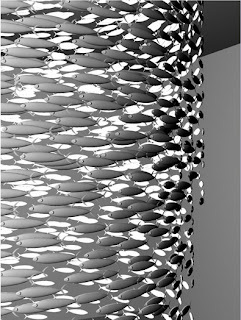 Hold your bill up to the light and look for the embedded security thread. The new $5 bills will remain the same size and will use the same, but enhanced, portraits and historical images. Above all, the world will continue to recognize the new money as quintessentially American. Design updates will not only add complexity to the bill to make counterfeiting more difficult, but will also include other features that will help the public to tell denominations apart, particularly those persons with visual impairments. Because color can be duplicated by potential counterfeiters, it should not be used to verify the authenticity of paper money. Adding color to the bill’s design, however, does add complexity to the design. The most noticeable difference in the redesigned $5 bill is the addition of light purple in the center of the bill, which blends into gray near the edges. 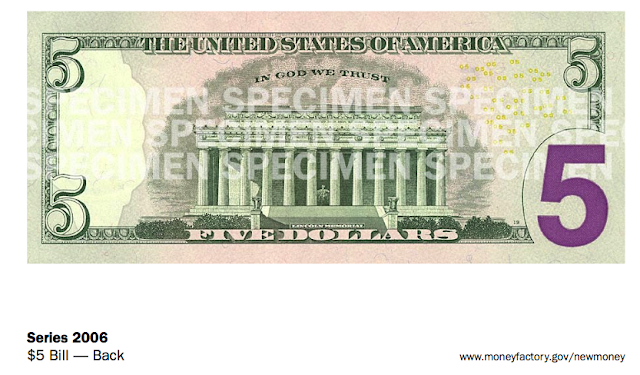 Small yellow “05”s are printed to the left of the portrait on the front of the bill and to the right of the Lincoln Memorial vignette on the back. Symbols of Freedom: A new American symbol of freedom has been added to the background of the redesigned $5 bill—The Great Seal of the United States, featuring an eagle and shield, is printed in purple to the right of the portrait of President Lincoln. An arc of purple stars surrounds the portrait and The Great Seal. The symbols of freedom differ for each denomination. Portrait and Vignette: The oval borders around President Lincoln’s portrait on the front and the Lincoln Memorial vignette on the back have been removed. The portrait has been moved up and the shoulders have been extended into the border. Engraving details have been added to the vignette, framing the Lincoln Memorial against a sky full of clouds. 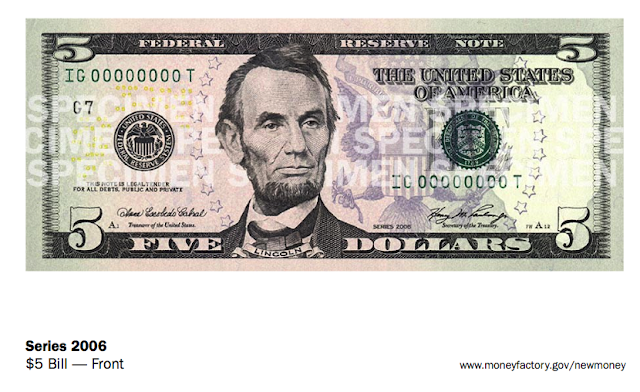 Low-Vision Feature: The large, easy-to-read number “5” in the lower right corner on the back of the bill, which helps those with visual impairments distinguish the denomination, is now enlarged in the new $5 bill design and printed in high-contrast purple ink. 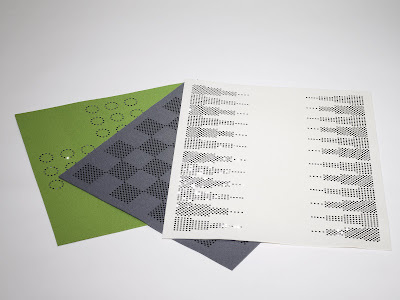 Microprinting: Because they are so small, microprinted words are hard to replicate. The redesigned $5 bill features microprinting on the front of the bill in three areas: the words “FIVE DOLLARS” can be found repeated inside the left and right borders of the bill; the words “E PLURIBUS UNUM” appear at the top of the shield within the Great Seal; and the word “USA” is repeated in between the columns of the shield. 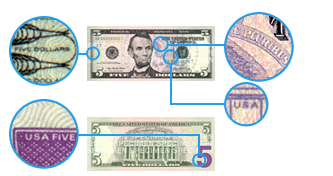 On the back of the bill the words “USA FIVE” appear along one edge of the large purple “5” low-vision feature. Serial Numbers: The unique combination of eleven numbers and letters appears twice on the face of the bill. On the new $5 bill, the left serial number has shifted slightly to the right, compared with previous designs. The goal of the public education and awareness program is the seamless introduction of the redesigned $5 bills in the United States and around the world. The U.S. government is working closely with the business community, national organizations and foreign central banks to ensure a smooth transition for the redesigned bills. More U.S. currency circulates in the world than any other currency. About $770 billion circulates worldwide. With this large volume of U.S. currency in circulation, the public education and awareness program has proven vital when introducing past newly designed currency. Similar efforts will be conducted for the new $5 bill to inform stakeholders and the general public about the new changes and how to utilize the security features to authenticate paper money. Continue using the old $5 design: You won’t have to exchange your old $5 bills for the new ones. Your old money will always be good. In fact, every U.S. banknote issued since 1861 is still redeemable today at full face value and will continue to be legal currency. In addition, there will be no recall or devaluation of any U.S. bills as the United States has never devalued its currency and will not do so now. Black and White (and Bitchin'). 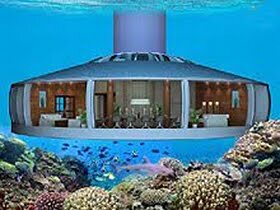 Floating Houses: The Wave of The Future?